If you’re looking for a local boiler repair company that you can rely on to get the job done to the highest standards, look no further than JustBoilers.com. We are experts in boiler repairs and boiler maintenance, and you can depend on us to diagnose your unexpected boiler fault code or to repair your broken boiler to get your central heating system functioning once more. If you choose a local plumber to carry out your boiler repairs, you could be putting your warranty at risk if they are not fully qualified. 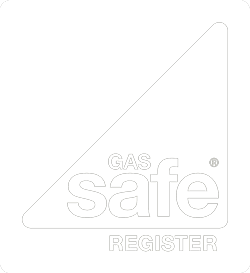 Only a registered and qualified Gas Safe engineer can carry out work on a boiler without invalidating the terms of the warranty, and therefore if you choose certified Corgi Gas engineers like our East London boiler repair team, you can have the peace of mind that you’ll have no future problems if you choose to sell your property. As well as Repairs we also Install new boiler if it is needed. If we think that your boiler is no longer economical to repair and it is an old boiler for example, then we will provide you with a free quote to install a new efficient boiler. We have very competitive boiler installation prices, and you will get the best engineer in East London installing your boiler with a remarkably low boiler install cost. If it is an emergency boiler repair or an urgent boiler breakdown in East London then please don’t hesitate to call us straight away for our honest advice.